If you have been a long time reader of our site, you know that we relaunched and rebranded it at the end of December 2015. We did this is an effort to bring a better overall experience to our readers. We listened to our readers and four things seem to be very clear: 1.) You don’t want a bunch of email that fills your inbox; 2.) You want to read a website without those annoying ads and pop-ups that get in the way of the enjoyment; 3.) You love a good multimedia experience; and 4.) You want to be able to access the content while on the go. We designed Pratesi Living for you. To eliminate the annoying emails, pop-ups, advertising, and ad placements, we introduced a Premium Membership which offers access to Premium content, quarterly newsletters with updates (rather than those annoying emails), features, and special discounted offers from our partners, as well as automatic entries for Premium Member giveaways (like this Lenovo tablet). If you join our Premium Membership right now at Pratesi Living, you’ll be entered in this giveaway to win a Lenovo TAB 2 A10. We’re also offering a special price of membership during the giveaway of $2.95 for one year. (The regular subscription price is $4.95.) For just $2.95 you get a web experience that is enjoyable and filled with content that will inform, educate, and inspire you while also enrolling you in giveaways during the entire time of your membership. Here’s more information on the Lenovo tablet. At Pratesi Living, our new design brings you bigger and bolder photographs and we are incorporating more video and music in the experience. After reviewing many tablets on the market, we believe the Lenovo is a great way to experience our new capabilities. We chose the Lenovo because of its larger screen (10 inches), vivid colors on the display, and a dazzling video experience. What better way to experience our new e-Magazine than with a tablet that makes us look good? The Lenovo has a multi-speaker Sound Bar enhanced with Dolby Atmos® Cinematic Moving Audio that delivers gorgeous sound that flows above and around you. Combine that with the TAB 2 A10’s Full HD display and you have a captivating multimedia experience. 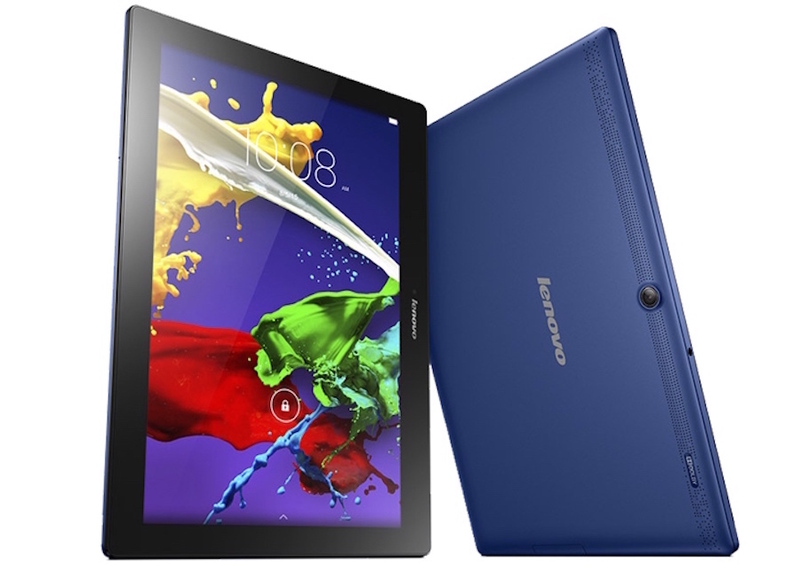 The Lenovo TAB2 A10 is WIFI enabled and has a 64 bit quad-core processor. It comes with 16GB of storage and is easily, and cheaply, expandable with up to 64GB on a micro SD card (not included). It’s the perfect tablet to place in the kitchen to look up your favorite recipes, to keep on the coffee table to browse your favorite web sites, or for use in the office to read your newspaper, magazine, or do research. It’s small and thin so it is a great travel companion wherever WIFI is available. The giveaway and special price of membership ends May 15, 2016, so sign up today! https://www.pratesiliving.com/register/.